Genuine OEM Lanier Toner Cartridge, Cyan, 34,000 page yield. Lanier part number: Lanier 821258. Color Laser Toner Cartridge compatible with Lanier SP C840DN, SP C842DN. Genuine OEM Lanier Toner Cartridge, Magenta, 34,000 page yield. Lanier part number: Lanier 821257. Color Laser Toner Cartridge compatible with Lanier SP C840DN, SP C842DN. Genuine OEM Lanier Toner Cartridge, Yellow, 34,000 page yield. Lanier part number: Lanier 821256. Color Laser Toner Cartridge compatible with Lanier SP C840DN, SP C842DN. Genuine OEM Lanier Toner Cartridge, Black, 43,000 page yield. Lanier part number: Lanier 821255. Laser Toner Cartridge compatible with Lanier SP C840DN, SP C842DN. Qualifies for free shipping & earn 154 points! Genuine OEM Lanier Drum Unit, Color, 60,000 page yield. Lanier part number: Lanier 408035. Drum Unit compatible with Lanier SP C840DN, SP C842DN. Qualifies for free shipping & earn 529 points! Genuine OEM Lanier Drum Unit, Black, 60,000 page yield. Lanier part number: Lanier 408034. Drum Unit compatible with Lanier SP C840DN, SP C842DN. Genuine OEM Lanier Waste Toner Bottle, 80,000 page yield. Lanier part number: Lanier 408036. 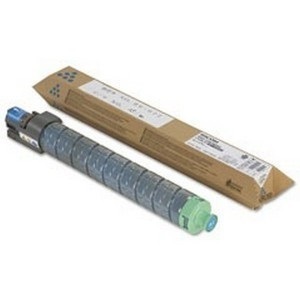 Waste Toner Bottle compatible with Lanier SP C840DN, SP C842DN. Genuine OEM Lanier Transfer Unit, 200,000 page yield. Lanier part number: Lanier 408037. Transfer Unit compatible with Lanier SP C840DN, SP C842DN. Genuine OEM Lanier Fuser, 160,000 page yield. Lanier part number: Lanier 408147. Fuser compatible with Lanier SP C840DN, SP C842DN.